Chlorophyllum produce some spectacular fruitings, both in terms of the size of the individual fruitbodies, but also in terms of biomass. Encountering troops of 10 or 15 fruitbodies in an arc or ring is not uncommon, and scattered troops of 30 to 100 fruitbodies are not unheard of. The stature varies some from the fairly stocky to tall and slender, but all of them are relatively large and have the potential to be downright huge! 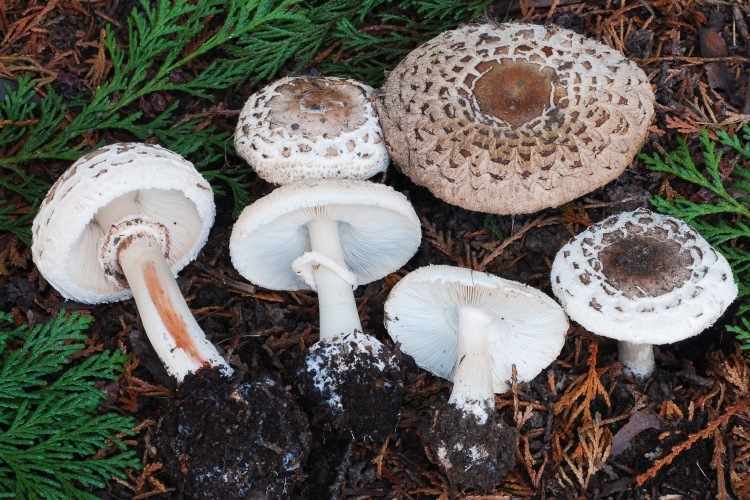 The scaly caps, membranous and persistent partial veil, distinctly free gills, and lack of a volva help to identify the genus. 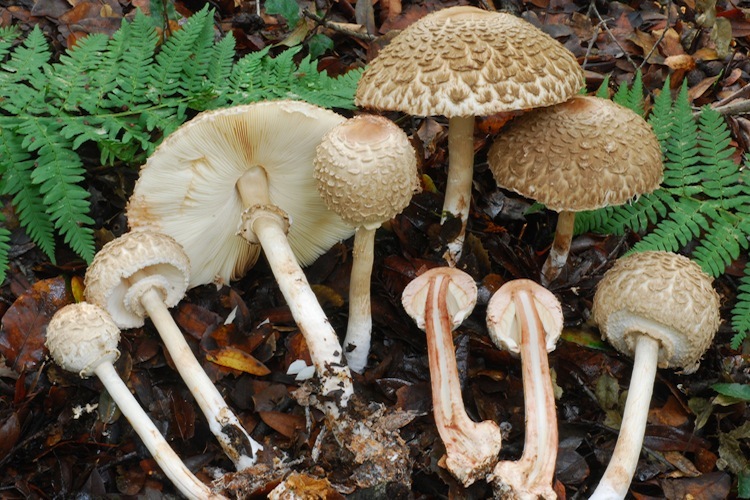 All species are saprobic, but the range of habitats in which they occur is quite varied. One is restricted to grassy lawns in fairly manicured settings, while the others tend to be in deep accumulations of leaf humus in forest settings, often along ecotones or 'edges'. Two species are known to occur in our area (one of which is introduced), with a third unconfirmed. Identification depends on details of stature, color and texture of the cap scales, structure of the annulus. A combination of these characters is usually good enough to determine the species, but microscopic characters can be used to confirm ambiguous cases.